Proactively uncover unauthorized ACH credits and debits prior to releasing funds. With ACH volume growing annually, customers are demanding increasing speed and convenience. Financial institutions need a powerful ACH monitoring solution now more than ever. Verafin’s analytics help you protect both your consumer and corporate customers against fraudulent payment and debit schemes. You gain full coverage against prevalent fraudulent transfer scenarios, such as Business Email Compromise (BEC), hijacked payroll, consumer and corporate online account takeover, in addition to the ability to uncover numerous scams such as romance, lottery, and work-from-home schemes involving Peer-to-Peer (P2P) functionality. Verafin monitors your customers’ online accounts to uncover unusual access. Unusual online account access elevates the risk associated with an ACH transfer, helping you act before a criminal can initiate a fraudulent withdrawal. Verafin provides enhanced ACH transaction analysis through the examination of cross-channel activity, such as demographic changes to a customer’s account; and multiple data sources such as online banking systems to boost risk in the presence of unusual behavior. Behavior-based analysis alerts you to ACH payments and debits that are unusual for a customer based on their past behavior, including coverage for corporate customers using the ACH channel. Verafin alerts you to potentially fraudulent originated credits, as well as unusual payroll file alterations. Get alerted when it appears either a consumer or corporate customer is being victimized by a known criminal scam — including Business Email Compromise or Vendor Impersonation Fraud — before losses can occur. Review alerts before ACH files are released to the Federal Reserve, helping you stop losses and avoid drawn out attempts to retrieve fraudulently transferred funds. Significantly reduce time spent on customer call backs to verify transactions. 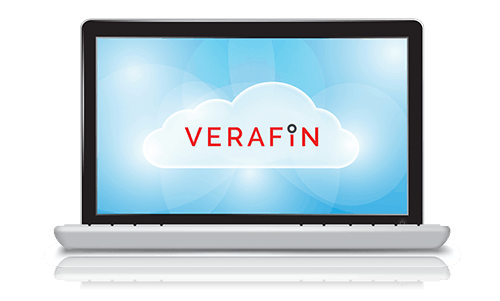 In addition to demographic and transactional factors, Verafin utilizes the power of the Verafin Cloud, analyzing ACH payments made by customers at financial institutions across its cloud environment to determine the validity of a receiving account. Verafin analyzes multiple data sources to better assess the risk of truly suspicious activity. The result is higher quality alerts that help maximize your investigative efforts. Interested in learning more about Verafin's ACH Fraud Solution?